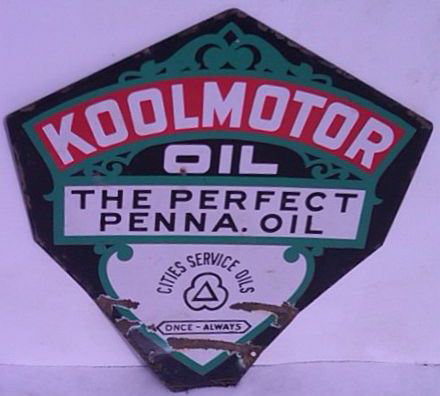 This is a round Koolmotor Oil porcelain sign. This particular Koolmotor sign is predominantly blue and white with red and black text in the center. It reads, “Koolmotor, A Cities Service Product, The Perfect Penna. Oil”.